Conferences/Banqueting (800/360); business centre, free broadband wifi. Rooms 75 (2 suites, 2 junior suites, 24 executive, 6 single, 58 ground floor, 4 wheelchair friendly, all no smoking); B&B from about €72.50pps. Single from €105. Children welcome (under 4s free in parents’ room; cots available free of charge, babysitting arranged). No pets. Weekend specials available. Leisure centre (gym, jacuzzi, sauna, steam room, beauty treatments), swimming pool. Bay Leaf Restaurant: D Sat only 6pm-8.45pm. A la carte. Children welcome until 7.30pm. Sun L 12.30pm-4pm, 3 courses €32, also a la carte. House wine from €23. Saddler’s Bar & Bistro open for L & D daily. L 12.30pm-2.39pm (Sun to 4pm). D 6pm-8.45pm (Sun to 8.30pm). Garden. Parking. Closed 23 Dec -4 Jan. Amex, Diners, MasterCard, Visa. 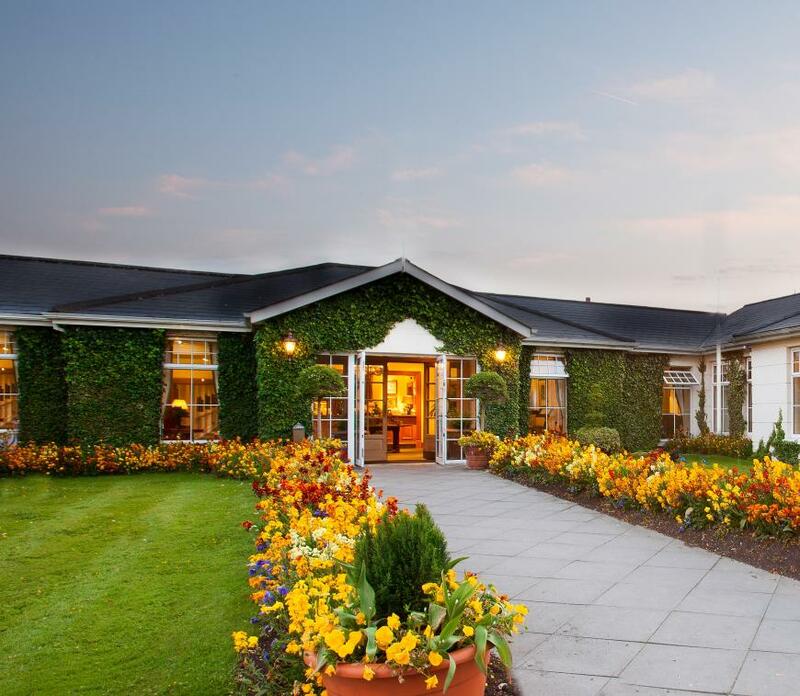 Centrally located and easily accessible from the M7 motorway, the O’Loughlin family’s long-established hotel is set in ten acres of fine landscaped gardens just south of the town (and near the Curragh racecourse). 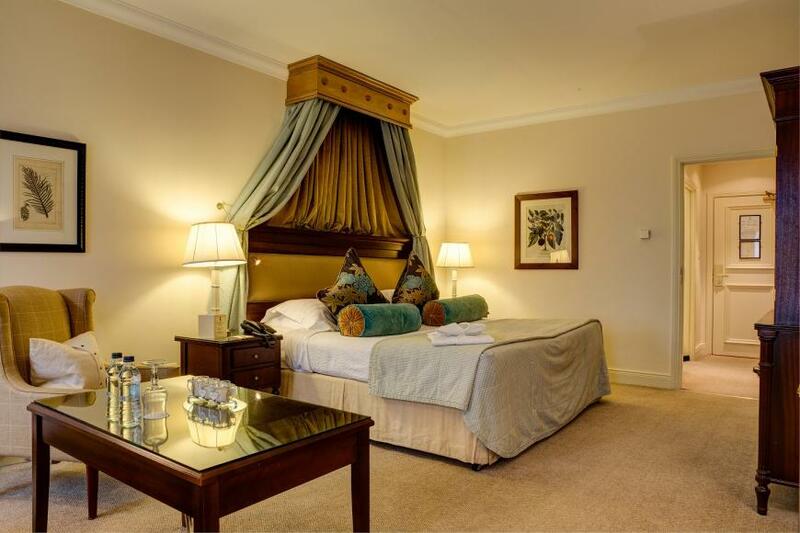 Justifiably proud of being Kildare’s oldest family run hotel, the Keadeen celebrates 45 years in business in 2015 - and it does so very satisfactorily, with a growing public appreciation of the attributes that make this comfortable and well managed hotel special. 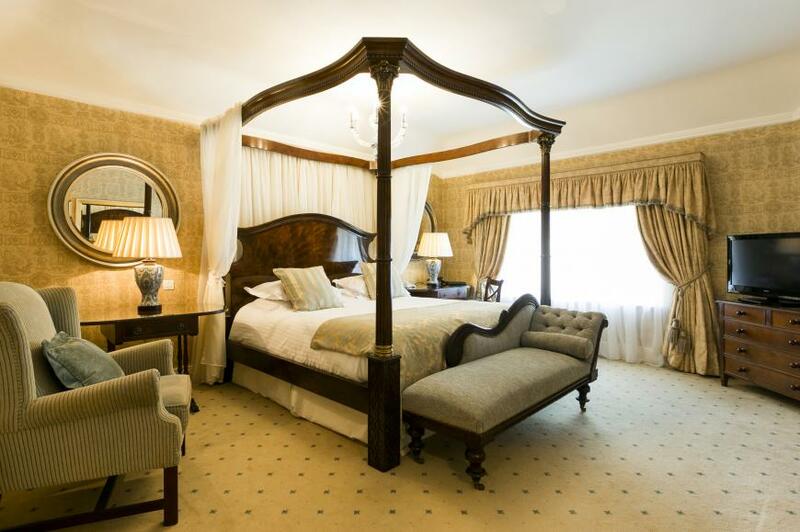 The grounds are well kept, regular refurbishment keeps everything spruce, and the generously spacious accommodation is furnished to a high standard. 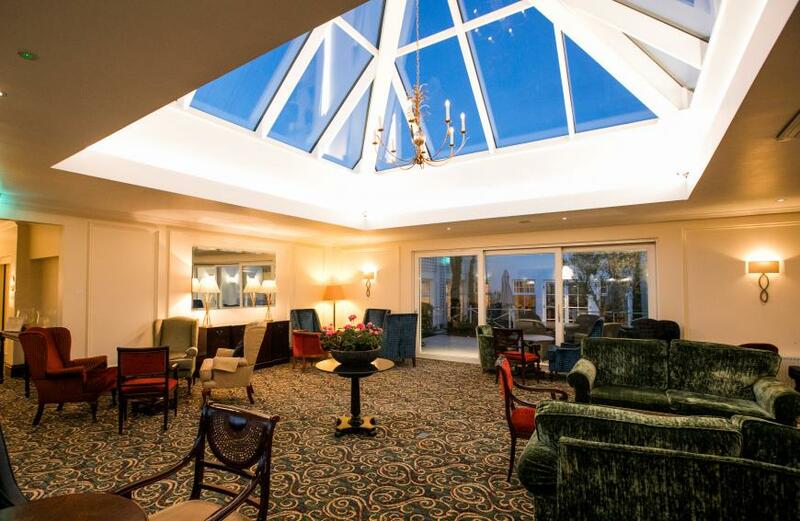 It offers extensive conference and special event facilities, along with a comfortably furnished lounge bar, popular restaurant and leisure centre - the fine romanesque Health & Leisure Club has an 18-metre swimming pool and aromatherapy room among its attractions, plus a staffed gymnasium. But, however pleasant the environment, there's much more to an hotel than that and the main reason that the Keadeen has so many happy returning guests, and is the centre of local activities and a favoured venue for both business and leisure, is its exceptionally hospitable staff, some of whom are longstanding employees of several decades. Good food has always been part of the Keadeen's appeal too, and Executive Head Chef Kevin Curran has upped the ante in recent times making both the Bay Leaf Restaurant (formerly The Derby Restaurant) and Saddler’s Bar & Bistro (formerly the Club Bar popular destinations for good food at a reasonable price. The hotel's reputation as a wedding venue has also grown in recent years, and it is now a premier choice for couples in the area. 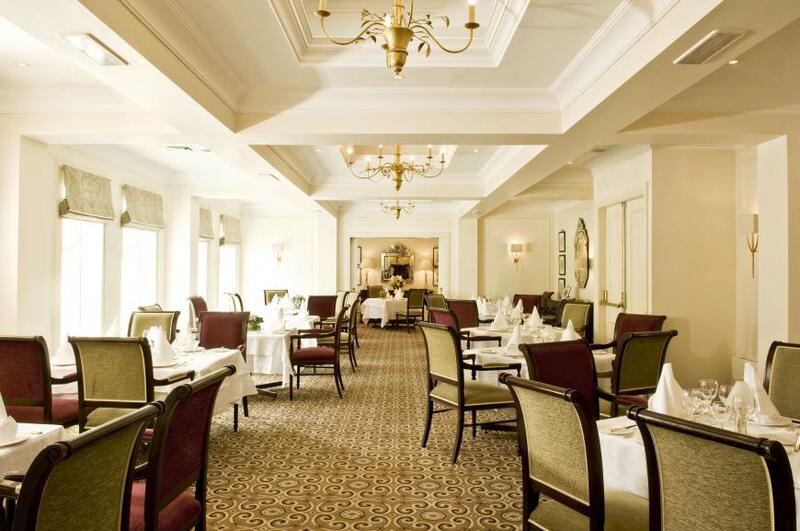 The hotel's fine dining experience is offered in the Bay LeafRestaurant on Saturday nights, and Sunday Lunch is also served here. Sympathetically lit - and bright with natural daylight on long summer evenings - it's a pleasant and relaxing room, with well appointed tables dressed in traditional white linen. This is an area with a traditional dining clientele, and Executive Head Chef Kevin Curran's menus reflect that, but there is a good balance of dishes - including vegetarian options - and good cooking makes up for what some visitors may see as lack of adventurousness. You'll find tasty crowd pleasers like Caesar salad and duck liver pate among the starters, and main courses including juicy steaks, crisp-skinned roast duckling and perhaps one fish dish among the half dozen or so choices. Careful cooking and pleasing presentation are the secret here - and, as elsewhere in the hotel, also excellent service from caring staff. From Dublin take N7 off M50, take sliproad sign posted Curragh race course & follow signs for Newbridge.